Let's get one thing straight. 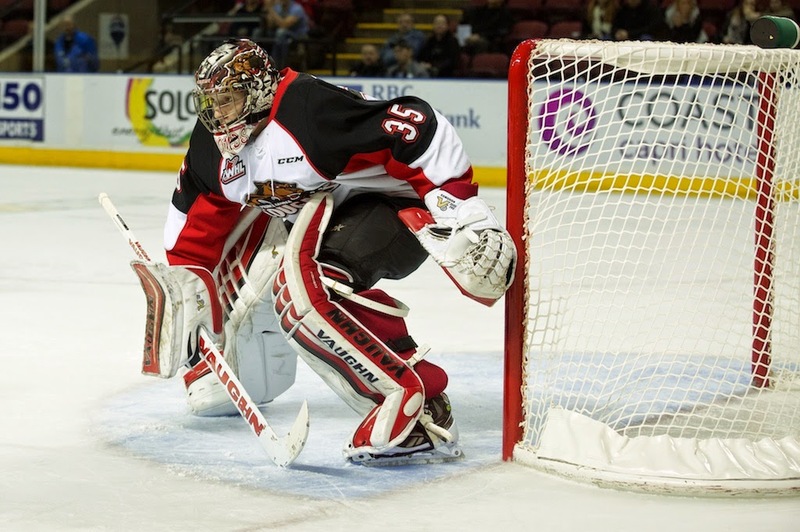 Goaltender Ty Edmonds has been awful against the Kelowna Rockets at home this season. But let's also point out that the 18 year-old Prince George Cougars netminder has been lights out terrific on the road. For a second consecutive game, Edmonds was the first star at Prospera Place with a 45 save performance in his teams 5-3 win last night. That victory came on the heels of another excellent outing December 5th when he turned 37 shots aside in a 4-3 upset victory. Edmonds numbers on home ice as opposed to the road in the seasonal series against the Kelowna Rockets is mind boggling. On home ice, Edmonds has been pulled twice in three starts. The veterans goals against average is 6.99 with a save percentage of .789. That's ugly. But those numbers improve significantly when he plays in Kelowna. Born in Whitehorse Yukon, Edmonds is 2-0-0-0 with a save percentage of .932 and a goals against average of 3.00. While the goals against average isn't earth shattering, you have to remember he has faced significant rubber over his two stops in the Okanagan this season. Edmonds has been peppered with 88 shots and has stopped 82 of them. In essence, Edmonds has been a wall. You can look at this game in two ways. The Cougars were opportunistic in the 20 chances they had on net. That you can't deny. But it would also be correct in pointing out it was a rough night for the goaltending duo of Jackson Whistle and Jake Morrissey. Have we said that once this season? The answer is no. The 19 year-old Whistle was pulled from the game after allowing 3 goals on 6 shots. It was the first time this season the veteran goaltender has had his game end prematurely. Morrissey, in a relief appearance, wasn't overly tested and was too deep in his net on the Cougars third period goal to make the score 5-2. The Rockets dominated large portions of the game with significant time in the offensive zone. At the end of the night they were stymied by a solid goaltending performance, which is going to happen over the course of a 72 game regular season. Edmonds heroics and a lack of a 'significant save' at the other end of the ice translated into the two goal loss. The Cougars were lucky too. How about Rockets forward Rodney Southam's second period chance on goal with a wide open net? Southam fires the puck into the yawning cage only to see Cougars overager Zach Pochiro get his skate on the puck and deflect it wide of the net. You can't argue with the pace the Rockets played with last night. It was high tempo. I can't complain about the effort exuded in the o-zone. And when you surrender just 20 shots on net, is the d-zone coverage that bad? Jansen Harkins goal in the second period to make the score 4-2 was the greatest breakdown the Rockets had all night long. That is one significant breakdown in a 60 minute game. Oh sure, you could pick apart other miscues, but that was the most glaring. It created an odd man rush that the Cougars capitalized on. When is +/- misleading? When Rourke Chartier, Nick Merkley and Cole Martin are a combined -9 and you surrender only 20 shots on net, you know something about that stat doesn't add up. The Cougars are the second team this season to steal four points out of Prospera Place this season. The Portland Winterhawks earned a regulation win and an overtime victory back in November. The Cougars are the first team to beat the Rockets twice in regulation time at home this season. The only other teams' to win in regulation time at Prospera Place are the Winterhawks and Regina Pats. I thought the Rockets physical play has taken a step forward over the past two games. It must be by design. The forecheck is more tenacious and the number of big hits - specifically by the forwards - is clearly evident. Justin Kirkland and Riley Stadel each had a goal and two assists in the win. Kirkland extended his point streak to 6 games. Over that stretch, the 18 year-old has 4+8=12. In December, Kirkland collected 13 points, the most since a 13 point month in October. Stadel's goal was a long time coming. It was his first goal in 28 games. Before the game it was revealed that leading goal scorer Rourke Chartier, who scored his 35th goal of the season in the loss, had signed a contract with the NHL's San Jose Sharks. The Sharks officially released the information this morning. Chartier is a 5th round pick of the Sharks from this summer and the contract is well deserved for a player who's commitment to the craft is unquestioned. Tyrell Goulbourne found himself in only his 4th fight of the season when he squared off with Cougars captain Sam Ruopp in the third period. It was the 20 year-old's first tilt in 14 games. Up next is a road game in Kamloops Friday night to ring in the New Year followed by another home game against the Prince George Cougars Saturday night. Ty Edmonds can't wait! Tonight’s Preview: The Kelowna Rockets play their 38thgame of the season tonight against the visiting Prince George Cougars. This is the 6th of 8 meetings between the two teams’. The road team has won every game in the seasonal series. The Rockets are 4-1-0-0 against the Cougars in the first five games, having out-scored their BC Division rivals 30-15. The Cougars are one of only three teams to beat the Rockets on home ice this season. Back on December 5th the Cougars earned a 4-3 win. Ty Edmonds was named the games’ first star with a 37 save performance as the Rockets peppered the Cougars net with 16-third period shots in the one goal loss. Nick Merkley, Rourke Chartier and Justin Kirkland scored in a losing cause. Following tonight’s game, these two teams meet again at Prospera Place on January 3rd and February 9th to conclude the seasonal series. The Rockets have won three straight games after a 4-2 win Saturday night over the Kamloops Blazers. Rourke Chartier scored twice.Following tonight’s tilt, the Rockets are in Kamloops Friday before again hosting the Cougars Saturday night. This is the second game of six straight for the Rockets against teams in the BC Division. After playing 11 of their last 17on the road, the Rockets are in the midst of playing 9 of 11 games on home ice. Overall, the Rockets have a record of9-4-2-0 in their last 15 games with points in 11 of those 15. Closing in on 40: Rourke Chartier has 34 goals, which is 6 shy of 40 on the season. The last Rockets player to score 40 goals was Myles Bell, who found the back of the net 42 times last season. Bell scored 38 times as an 18 year-old. So this question must be asked. Who was the last 18 year-old Kelowna Rockets player (Chartier is 18) to score 40 goals? Only one player has accomplished that feat. Brett McLean scored 44 times as an 18 year-old during the 1996-97 campaign. McLean had 44+60=104. Jamie Benn scored 33 goals as an 18 year-old and Justin Keller, a former 50 goals scorer, found the back of the net 31 times as an 18 year-old. Merkley vs. Harkins: Tonight’s game features two of the top scoring 17 year-old draft eligible players in the WHL. Nick Merkley leads the Rockets in scoring with 10+46=56 while Jansen Harkins leads the Cougars in scoring with 12+27=39. Harkins was taken 2nd overall in the 2012 WHL bantam draft while Merkley was chosen 9th overall. Both Merkley and Harkins will represent the WHL at the Top Prospects game next month in Ontario. The two are teammates on Team Orr. 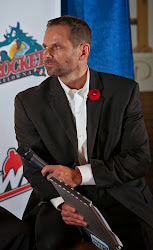 This and That: Did you know the Rockets played their 1400th regular season game as the ‘Kelowna Rockets’December 10th in Lethbridge?...The Rockets are gunning for their 30th win of the season. It would mark the 14th time in the last 15 seasons the franchise has achieved that mark. The only blemish over that stretch was a 22 win season in 2006-2007, the only time they have failed to make the playoffs….This is the final game for the month of December. The Rockets are 6-2-0-0 in eight games during the month. 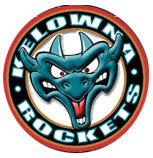 Last season the Rockets were 12-0-0-0 in December with 5 straight wins on home ice and 7 straight victories on the road….The Rockets are 36-7-1-1 in the last two seasons against teams in the BC Division…Have the Kelowna Rockets ever won back-to-back regular season titles? Yes, but it has happened only once. In 2002-2003, the team collected 109 points and followed that up with a 98 point season in 2003-2004…Nick Merkley will represent the WHL at the Top Prospects game next month in St. Catharine’s Ontario….Twenty of the Rockets final 35games will play played against teams in the BC Division….The team has only two more trips to the U.S. The Rockets are in Seattle February 10th and in Everett on March 3rd…Tyson Baillie is two goals shy of his career high 26 he scored in the 2012-2013 season…Cole Martin leads the WHL with a +30 rating. Martin is now a +93 in the last two seasons…The Rockets have been held to three goals or less only 9 times this season…The Rockets have not been shut-out in 113 consecutive games. The last time the Rockets were held without a goal was March 3, 2013 in a 3-0 loss in Kamloops…Josh Morrissey, Madison Bowey and Kris Schmidli are all participating at the World Junior Hockey Championships in Montreal/Toronto…Is fighting down in the WHL? Tyrell Goulbourne has 3 fighting majors this season. The 20 year-old had 19 in 2012-2013. Rodney Southam has 8 fighting majors this season while Riley Stadel has five. Stadel had eight tilts a season ago…Cole Martin is playing in career game #246 tonight vs. Cougars. Who’s Hot: Cole Martin has 7 assists in his last five games…Rodney Southam has 3+2=5 in his last 6games…Justin Kirkland is riding a five game point streak. Kirkland has 3+6=9 over that stretch. Kirkland had a 6 game point streak in early October…Dillon Dube has 7goals in his last 9 games…Tyson Baillie has 11 goals in his last 16 games and has points in 13 of his last 19…Over that period, the 19 year-old has (13+7=20)...Rourke Chartier has ten more goals (34) than he had all of last season. Chartier has goals in 17 of his last 20games….Nick Merkley has 6+24=30 in his last 21games…Lucas Johansen has 4 assists in his last three games. That is more than the three assists (points) he earned in his first 34 games. Rourke Chartier is an impact player. The 18 year-old Kelowna Rockets forward proved it in two different ways last night in a 4-2 home ice win over the Kamloops Blazers. Before scoring two goals in the teams' 29th win of the season, the soft spoken centreman laid a massive hit on Blazers defenceman Brady Gaudet just inside the Kamloops blue line. The hit sent Gaudet flying with his helmet literally popping off his head. It isn't often you see Chartier lay the boom on a much larger player, but the hit set the tone for more good things to come as the Saskatoon resident scored his 33rd and 34th goals of the season. Oh, I should mention, Gaudet never returned after the hit was applied. Gaudet had just returned to the Blazers after missing the last 18 games with a shoulder injury. Chartier is now three points shy of both teammate Nick Merkley and Medicine Hat's Trevor Cox for the WHL scoring lead. Chartier's 34 goals is 10 more than he had all of last season and three more goals will give him as many as he had in the previous two seasons combined. Chartier now has 12 multiple goal games. Just look at Chartier's consistent play. In the last 20 games, Chartier has scored in 17 of them. Translation? In only three games over that span has Chartier failed to find the back of the net. I thought Gage Quinney had a strong game in his home debut. The 19 year-old is showing some strong chemistry with Tyson Baillie. Quinney had possibly three great chances to score in the first period alone but couldn't find the back of the net. Quinney, for my money, is a massive surprise on how good of player he is. I had no clue what he would bring to the ice when the trade was made. Honestly, with the way Quinney is playing, would he not have a tremendous chance to stick with the team as a 20 year-old next season? Tyson Baillie is heating up at the right time. The 19 year-old has five goals in his last five games. Baillie's pass to Chartier for a power play goal in the second period was pretty to watch. It was Baillie's 97th career assist. The Rockets have won 13 straight games against the Blazers dating back to 2012-2013. What an outstanding crowd! Six thousand 214 fans took in the game, a sell out and largest crowd of the season. The fans were treated to an entertaining game that didn't have that sluggish feel that usually comes with the first game after the Christmas break. Dillon Dube continues to impress. Can you imagine if the Rockets had him healthy and in the line up at the start of the season? The 16 year-old now has 7 goals in 12 games since returning from injury. Those 7 goals have come to December alone. Who has scored more goals for the Rockets in December than Dube? No one!! Chartier and Baillie have five apiece during the month. The Rockets have given up two goals or less in 11 of the 16 home games they have played this season. In the five home games where they have surrenders more than two goals, the record slips to 1-3-1-0. The Blazers had 16 year-old affiliated player Dawson Davidson in the line up. I thought he played really well and Don Hay wasn't scared to use him on the power play. Davidson plays midget hockey in Moose Jaw and shows some offensive instincts. Interesting that he didn't make the Blazers roster out of training camp, but that said, rushing a player isn't necessary. Look at what another year of midget did for Kelowna Rockets forward Justin Kirkland. Playing major junior at 17 is never a bad option. Life without Rourke Chartier hasn't been easy. Just ask Kelowna Rockets leading point producer Nick Merkley. Merkley leads the WHL in scoring but without Chartier the points were harder to put up. The 17 year-old collected 4 assists in five games on an Alberta road trip without Chartier and failed to find the back of the net. "It is for sure different. The lines are jumbled but you have to adapt to that and have to step up. Once the world juniors are over it will be nice to have everyone back and see what we are made of", Merkley added. It could have been worse. Rourke Chartier missed five games while attending Team Canada's training camp and returns to the line up December 27th only four points back of Merkley for the WHL scoring lead. Chartier still leads the league in goals with 32. Chartier is now fourth in league scoring. "Unbelievable times (x) 50". That comment from Prince Albert Raiders head coach Marc Habscheid when I asked him about the pressure Canada faces hosting the upcoming World Junior Hockey Championships on home soil. Habscheid coached Canada in 2003 when the tournament was held in Halifax. "We hadn't won in a couple of years, so there was pressure on the team much like it is now. The difference is two things; Montreal and Toronto. You get into centers that big, it is going to create that much more of an atmosphere and that much more pressure, Habscheid added. "There are so many distractions. You have to keep your focus." Would Habscheid consider coaching Canada again at the World Junior? "I might", Habscheid said bluntly. "Right now I am not looking at it. I really enjoy where I am now but never say never. Whether its fair or not fair, there are expectations to win. It is Canada's game and we expect gold." How can you not be impressed with the evolution of Tyler Johnson's game. Now with the Tampa Bay Lightning, the former Spokane Chiefs captain is excelling at the NHL level after failing to catch the eye of pro scouts while playing junior hockey. I asked Chiefs GM Tim Speltz about the 24 year-old's progression as a player. "Tyler is so special to us because he was local. We just don't have very many local guys. Tyler was such a big part of our teams' that overachieved. There was always the he's too small....but. He is too small but he is fast. He is too small but he is smart. ", Speltz added. "For me, players, as long as they stay committed and keep improving, you can make your way into the NHL even if you are 20 and undrafted. If you look at the 22 teams, with three 20-year-old's on each team, that is 66 guys playing with 10 to 15 percent of them signing. Too me, that's pretty good odds". I had a nice chance to reflect with Red Deer Rebels associate coach Jeff Truitt on his coaching career with the Kelowna Rockets. After several years as an assist in Kelowna, Truitt guided the team to a WHL title in 2004-2005 before eventually leaving and giving way to Ryan Huska. "I spent 7 years in Kelowna. We enjoyed it there (Kelowna) and we still love coming back there. We have relatives there. Was it time for me to go? I thought there was enough interest with the Edmonton Oilers for me to be an assistant coach in Springfield. Is the pro game something I would like to take another stab at? Absolutely, because I'm a better coach because of it", Truitt added. Truitt gets another stab at a Memorial Cup in 2016 with the Red Deer Rebels. Truitt, who was an assistant coach to Marc Habscheid at the 2004 event in Kelowna, is looking forward to being the host team again. "At the time of coming here (to Red Deer), I didn't know that was in the works. It will be my fourth as a coach and to have that experience here now, would be tremendous", Truitt added. We all have regrets in life. I asked Lethbridge Hurricanes assistant coach Bryan Maxwell if he had any regrets after he was drafted in the first round of the NHL draft in 1975 by the Minnesota North Stars. "I probably would have listened to my dad more," Maxwell said surprisingly. "He (father) told me the drive-in was for sale here in Lethbridge and I should buy it. I didn't. It is now one of the nicest residential areas in the city. I am sure we all have stories of things we should have done", Maxwell said with a chuckle. Maxwell was selected fourth overall after a successful career with the Medicine Hat Tigers. The last time the Rockets had two players on Canada's entry at the World Junior's was 2009 when Tyler Myers and Jamie Benn were members of the team. This year Josh Morrissey and Madison Bowey represent. It honestly feels odd to call Josh Morrissey a member of the Rockets when he hasn't even played a game with his new team. The 19 year-old will wear #27 when he makes his Kelowna debut in early January. Best media tidbit in a teams game notes package was found in Red Deer where the Rebels informed me that that franchise has had a player drafted into the NHL in all 22 years of its existence. That is impressive. The Rebels have had 13 players taken in the first round alone. A great piece of info and I am blaming Cam Moon for that delicious nugget of information. Best player I saw last week? Connor Bleackley of the Red Deer Rebels is awfully impressive when he gets going. The dude can shoot the puck. Ask Jackson Whistle. He was beat twice by seeing eye wrist shots that beat him blocker side. I think the Rebels are going to be a great host of the 2016 Memorial Cup. Can you imagine if the weather they are experiencing today would hold up for May of 2016? Little to no snow would make for a marvelous tournament. The arena is solid (seats 6,706). While it is smaller than the 13 thousand seat Saskatoon (what are they calling it these days?) facility that hosted the 2013 event, the atmosphere will be so much better in Red Deer. On top of that, you know the Rebels will ice a solid team that won't required a massive overhaul the season leading into the 10 day event. Good luck to the Okanagan Midget Rockets who are headed off to the Mac's Midget Hockey tournament in Calgary Christmas Day. The Okanagan Rockets open the event Boxing Day against the Calgary Buffaloes. Last year's team made it to the semi finals. Expectations may be a little lower this year considering the 2013-2014 squad was one for the ages. The Ok Rockets will tell you the only limitations are the ones the team puts on itself. That is hockey talk 101 for ya. Chiefs GM Tim Speltz had some interesting thoughts on player burnout in major junior hockey. "It starts before the players come to us. It comes long before they ever get here. Do we see the end of the burn out factor? Yes! If we want to get our guys to pro, it is necessary with what we do. At the younger level, it is 12 months a year which is too much. If these guys would shut it down at the end of hockey season for at least 60 days, 90 days or two months, they would look forward to it. Not only do we lose a lot of athletes, the athletes that we have can burn out", Speltz added. 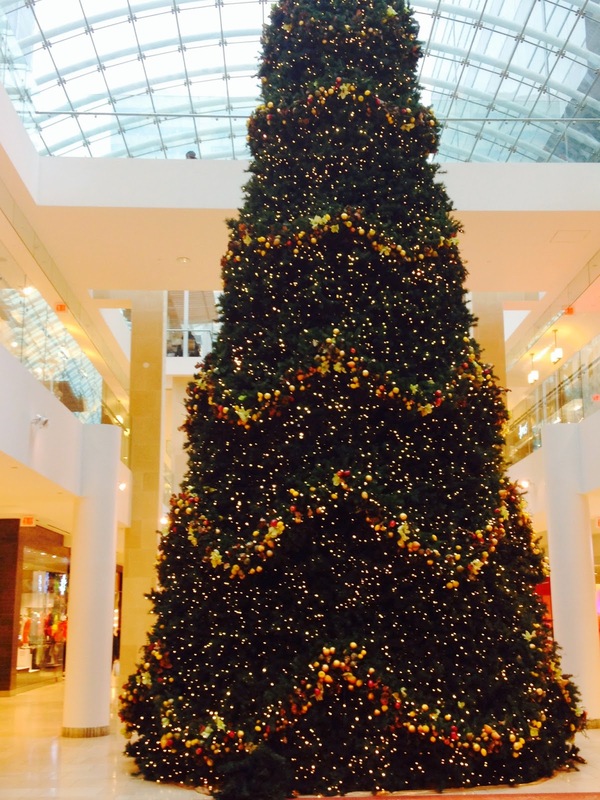 Merry Christmas to all those that spend a little portion of your day reading this blog. Enjoy the time with family and we will see you for the exciting second half of the season on December 27th. The sign of a veteran team is not getting rattled when you see a significant lead evaporate before your very eyes. Such was the case last night in a 6-3 win in Red Deer. The Kelowna Rockets were in control before the Rebels erupted for two goals in a span of :37 seconds to make it a one goal game. How did the road weary Rockets react? They promptly scored three-third period goals in the teams' 28th win of the season. Dillon Dube, Justin Kirkland and Tyson Baillie scored in the final frame, handing the Rebels only their 5th regulation loss on home ice this season. Justin Kirkland showed why he has the potential to be a dominant player. The 18 year-old scored twice, once on the power play and once in the third period on a seeing-eye slap shot and chipped in with one assist. Kirkland had 3+5=8 in the five game road trip which led all Rockets forwards. The Rockets took one minor penalty against the Rebels. That is a season low. Nick Merkley took a goaltender interference penalty or the team would have been clean of any infractions. Put your money on Tyson Baillie when an empty net is available. Baillie battles and was rewarded with his 23rd goal of the season. Baillie had 4 goals in the last four games of the road trip. In case you are not paying attention, the Rockets completed a stretch of playing 11 of their last 17 on the road. They picked up points in 10 of those 11 road games. I liked the fact that head coach Dan Lambert met every player at the bench after Wednesday's game and gave them a congratulatory pat on the back. As a player, how can you not want to play for this guy? Cole Martin now leads the WHL in plus/minus with a +28. Martin had a solid trip, outside of a rough game in Calgary when the team looked sluggish in a 4-1 setback. Martin brought his offensive game with him on the trip, collecting 6 assists in his last four games of the swing. You can't tell me that recording a 4 and 1 record on this Alberta road trip wasn't impressive. The team was playing without its top goal scorer and its top offensive defenceman. No Chartier and no Bowey translated into 8 out of a possible 10 points. Can't shake a stick at that. Jackson Whistle played in every game on the trip. It was manageable considering the Rockets played every other day outside of back-to-back games in Edmonton Tuesday and in Red Deer on Wednesday. Whistle now leads the WHL in wins with 22. Whistle is 6 starts shy of 100 for his career. Rodney Southam has goals in back-to-back games. The 18 year-old scored last night in Red Deer and had a goal in Edmonton a night earlier. Last season the Saskatoon resident also scored in back-to-back games against the Rockets, as a member of the Tri City Americans, and against the Prince Albert Raiders. During the five game road trip, the Rockets out-scored their opponent 19-13. The Rockets were out-shot in four of the five games. The only time they out-shot the opposition was against Lethbridge in game one of the 'roady'. The Rockets opened the scoring in 3 of the 5 games. The hockey club scored a power play goal in four of the five games. The power play unit, without Chartier and Bowey, went 5 for 18 or 28 percent. The penalty killing unit surrendered four goals against in 26 kills. The Rockets have now played the second most road games in the WHL (21). Only Kamloops has played more (22). Home cook'n is on the menu when the second half of the season begins on December 27th against Kamloops. The team will play 9 of its next 11 games on home ice. The only road trips are to Kamloops (twice). 21 of the teams final 36 games - 58 percent are against BC Division rivals. Just one more significant road trip awaits the Rockets when they again set sail for Alberta with four games in five night's in Red Deer, Edmonton, Lethbridge and Kootenay. Ya, ya, Cranbrook is in BC but you get what I am saying. The Rockets are 28-5-3-0 after 36 games. Last season after 36 games the team was 31-3-0-2. In the last 72 regular season games the Rockets are a combined 59-8-3-2. The Kelowna Rockets continue to take bad penalties. The good news is, the penalty killing unit is bailing them out. The Edmonton Oil Kings scored once on six power play chances before falling 4-1 to the Rockets last night on home ice. The Rockets used goals from Rodney Southam and Gage Quinney and then added two power play goals from Tyson Baillie and Cole Linaker in the win. For Linaker, it was his first goal in 15 games. The Rockets are now the fourth most penalized team in the WHL. It looks odd to see them that high in the penalty minute parade when they lead the entire league with 57 points. Gage Quinney is a way better player than I envisioned. To be honest, I wasn't sure what they were getting when he and fellow teammate Josh Morrissey were acquired from the Prince Albert Raiders last week. Quinney, 19, is not a spare part. Gage Quinney is smart. The quiet as a mouse Quinney makes smart decisions with the puck, moves to areas where he anticipates it going and has a solid battle level when engaging with an opponent to get it. Quinney scored his second goal with the Rockets in his third game but could have had another. After powering past an Oil Kings defender, Quinney went to the backhand and was shutdown by a nice glove save from veteran goaltender Tristan Jarry. Cole Martin had an especially strong game last night in Edmonton. The 20 year-old looked sluggish Sunday in a 4-1 loss in Calgary but came to play against the defending Memorial Cup champions. Martin picked up a career high three assists and was a +2 in the game. He didn't hesitate to shoot the puck and just couldn't be beaten in a one-on-one situation. I was glad to see he was named the games first star because he never gets the credit he rightfully deserves. I've noticed rookie Tate Coughlin increasing his battle level over the course of the road trip. Often light on his skates, which seems odd for a bigger player, Coughlin played with more bite and almost scored his second goal of the season. Instead it rang it off the goal post. The 17 year-old hasn't scored in 27 games. I thought Jackson Whistle again was solid. Whistle is significantly different in his approach to stopping pucks, but he battles to keep it out and succeeds. My trust level in him was low at the start of the season, but I have as much confidence in him now as any of the 'so called' elite goaltenders in the WHL. Nick Merkley ended a mini two game point scoring slump with an assist. Tyson Baille scored his 22nd goal of the season, matching his total from one season ago. Baillie typically scores big goals and prefers to find the back of the net while playing on the road. Sixteen of his 22 goals have come on opposition ice this season. Lucas Johansen had a two point game, his first in his young WHL career. It was Johansen's first point(s) in 21 games. Rodney Southam is growing on me. The 18 year-old is a great teammate. Southam seems to be liked by all and often has a smile on his face. He is a team guy and isn't afraid to stand up for a teammate. While only producing 3 goals and 6 points in 18 games, the Saskatoon resident is a gritty player that every team needs to have in their line up. It was nice running into injured Rockets defenceman Mitch Wheaton before the game. Since he was watching the game from the press box, I thought it was best to bring him on the radio as a second intermission guest. 'Wheatsie' is a great talker, so filling the intermission with solid content was an easy thing to pull off. While we won't see him on the ice for a couple of months, the fact he will be ready at the most crucial time of the season is encouraging. Riley Stadel plays in his 150th career game tonight in Red Deer. I would love to see him score. The 18 year-old hasn't found the back of the net in 25 games. He had 6 goals in his first 10 games. Tyson Gruninger looks like a sure fire beauty. The listed player by the Oil Kings can skate and created some good things in the offensive zone. He also didn't play scared. It is no surprise he scored 30 goals playing midget hockey in Leduc last season. On a first time viewing, I thought the 16 year-old was terrific. Maybe the fans didn't notice, but this game was played with several key components from each team out of the line up. The Rockets were short staffed and so were the Oil Kings. I was looking forward to watching Oil Kings Euro Edgars Kulda, but the 30 goal man was sidelined with injury. I really like Oil Kings d-man Ashton Sautner. I don't see him play often but the 20 year-old is steady at both ends of the ice....or at least he was Tuesday night. With 53 playoff games under his belt, Sautner would be a massive upgrade for any team looking for help on the blue line. Which brings me to the point of the Oil Kings selling off at the trade deadline. Do they or don't they? What a start for Dillon Dube. The Kelowna Rockets first round bantam pick from 2013 is the real deal. The 16 year-old has 5 goals in his first 9 regular season games. Dube says he is finding his groove after essentially missing the first 25 games with injury. "Dan Lambert has given me lots of tips to score goals. The biggest thing I have to do is get to the net and that is something he (Lambert) has pointed out in my game. I like to pass the puck and find open ice. I thinking finding the spot to score goals is something I'm improving at doing as I get more comfortable." It was an emotional time for the players after Wednesday's win in Lethbridge. The team learned that Jesse Lees and Austin Glover were traded to the Prince Albert Raiders. Veteran defenceman Cole Martin admitted it was a particularly tough time for him. "It was hard for me. I have been a roommate with Austin Glover for three years. 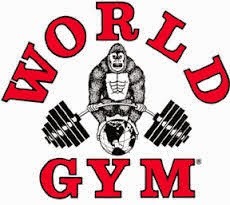 Everyday after practice we hung out together. We have been together a long time. We have had guys that have been together for four years. We have seven guys that have been together for a long time and then, bang, they are gone", Martin added. Despite the disappointment of seeing two close teammates traded away, Martin knows that its a businesses and sometimes changes are necessary to build a winner. "Like I said from the beginning of the year, I am here to win a Memorial Cup and that hasn't changed." I had a chance Saturday night to watch the Calgary Hitmen's home game against the visiting Kamloops Blazers. It was nice to sit back and relax and observe different aspects of the game that normally go undetected when I'm mentally engaged in broadcasting the game. It was especially interesting watching Don Hay behind the Blazers bench. Hay was often seen banging his hand/fists against the glass after a missed opportunity or a bad pass, but he always, always had physical contact with his players with pats on the back/side as they were seated on the bench. I think the perception is Hay is a mean coach, who wouldn't be categorized exactly as 'player friendly'. The truth be told, Hay cares so much about his team and wants to succeed and his gestures on the bench are a clear indicator of that. Hay likely raises his voice when he wants to get the players attention, but also showed me Saturday night that he has adapted with gentle encouragement to get the best out of his group. Hay is reading his team as likely a fragile bunch and is taking the appropriate steps to bring them through this tough patch. I was impressed. It is hard to believe that the Kelowna Rockets played their final regular season game in the iconic Medicine Hat Arena. The Arena, built in 1970, will close its doors to the WHL at the end of this season. The new facility, opening in the fall of 2015, will cost 64 million dollars with additional cash going towards things like a high tech scoreboard. The Tigers senior director of marketing and public relations, Dave Andjelic, says the building will be significantly larger that the Arena. "The capacity of the building when it officially opens its doors will be 6140 with the chance to expand to an additional 930 seats down the road. So eventually it will seat 7 thousand and 70. ", Andjelic told me prior to Friday's game. It had me wondering. If the new building seats over 7 thousand down the road, is it too large for Medicine Hat, who currently play out of the Arena which seats 4,006? "For us, we would like to have a few less (seats), but we are not just building it for the Medicine Hat Tigers but for the community and concerts as well. Some say it is a little too big for us, but looking 50 years out, it should be fine. ", Andjelic added. The larger building may give the Tigers a good chance of eventually hosting the Memorial Cup. "We are hoping down to the road we can look at that. With this building here, there is no way we could put a bid in". I had a chance to see the construction site of the new building, who's naming rights have yet to be sold to a big corporation. For now it is known as the Medicine Hat Events Centre. The new building is located just off the Trans Canada as you come in from the North from Calgary. "I would have preferred more of a central location for it", Andjelic added. "The city actually bought that land for one dollar, so it was a City of Medicine Hat decision. We started talking about a new arena in 1996 when the Medicine Hat Tigers were involved. It has taken a long time to get there". The Tigers had 100% control of designing the dressing rooms and office space. The best interview of the week goes to legendary Tigers radio broadcaster Bob Ridley. I hunted down Ridley to reflect on the 'Arena' closing its doors at seasons end. "I remember the first game in here. We had chicken wire at the ends. It was jam packed full. Women in their furs and men in their suits. The visitors called it the 'Smartie Box'. The wooden seats were yellow, blue and red. It was a party atmosphere. You could smoke in here that the air was blue that you couldn't see the other side of the ice", Ridley said with a chuckle. "The bars were full afterwards. The Tigers really put the city on the map. Before that, nobody knew where Medicine Hat was". One of the interesting stories of the Medicine Hat Arena was a section of fans known as the 'Section 2 Group'. That small collection of Tigers fans were ruthless against the visitors. "It got so bad that the Tigers organization had to slow them down a bit because the league was complaining", Ridley added. "The Regina Pats players got even with them by getting in early and greasing the seats with Vaseline, so the Section 2 group complained to the league. They would throw things at the opposition and their was no glass behind the visitors bench at the time". When you spend as much time on the road as we do over the course of the hockey season, people either rub you the wrong way or you find a greater appreciation for them. Rockets' athletic therapist Scott Hoyer is one such individual who really brings positive energy to the team. 'Scotty', as he is known to me and the 28 other people on the bus, is a leader in his own right. What a great example he is to this group of 16 to 20 year-old players. Hoyer doesn't just walk the walk. The 40 something father of two girls walks the walk. Oh, he is also my roommate. What is with the gas prices here in Alberta? In Red Deer, the pump reads 85.9 cents a litre. Gas it dirt cheap in Central Alberta. I never thought I would see the day of gas being this low. 85.9 cents a litre is nothing short of bizarre. An interesting conversation last week with Lethbridge Hurricanes assistant coach Bryan Maxwell. I asked the bass voiced Maxwell about the Hurricanes firing head coach Drake Berehowsky. "The changes have probably affected us (coaches) more than the players", Maxwell told me Wednesday. I asked the 59 year-old if he was considered for the head coaching job? "No, it wasn't asked. Nobody really approached me on it". Would he have accepted it had they asked him to be the new head coach of the Hurricanes? "I don't know. It would have been something I would have had to look at to see what my role would have been as far as with the general manager, if it would have remained the same, or what my relationship would have been. Obviously that is putting the cart before the horse so its a non issue", Maxwell added. The veteran coach stays on with the Hurricanes as an assistant to new head skipper Peter Anholt. Did you know that Rockets head coach Dan Lambert was a teammate of Ex-Oilers head coach Dallas Eakins? You do now. The two were d-partners with the Moncton Hawks in 1992-93. They couldn't have played any worse! The Kelowna Rockets looked like a team playing their third game in three night's with a lackluster 4-1 loss Sunday afternoon to the Calgary Hitmen. Unfortunately the excuse of fatigue couldn't be used as a factor in the teams' 5th loss of the season. Right from the opening face-off until the 15 minute mark of the third period, the Hitmen were first on pucks and looked more interested in winning. The Rockets - as a group - were a step behind. The Hitmen weren't faster. The Hitmen didn't have a lopsided advantage with more key players in their line. The home team just had more energy and 'want' in their game. Only Dillon Dube's 5th goal of the season. on the power play, late in the third period was the reason why the Rockets weren't shutout for the first time this season. A sure sign that it was a rough night was back-to-back icings in the second period. Traditionally, the Rockets use long cross ice passes that are tape-to-tape. It is an awfully impressive skill set to have when executed properly. When the passes are off though, like they were Sunday afternoon, it looked like a team that was struggling mentally. As bad as the Rockets were over essentially 54 minutes of the game, the power play goal by Dube and the final five minutes of frantic action inside the Hitmen's zone almost saw the visitors make it a one goal contest. Tyson Ballie, with the goaltender pulled for the extra attacker, was set up wonderfully on a back door play and fired the puck into what appeared to be a wide open net. Hitmen goaltender Mack Shields, who had an extremely easy night, came up with a solid right pad save. Had Baillie scored on that chance, the Hitmen would have been in a heap of trouble as the Rockets finally awoke after cruising through a good portion of the game. No matter what you read on other blogs or on Twitter, this team won't win without optimum effort. I see this team every day. If they play as a team and 90 percent of the players are 'going', they can win games. Lots of games. No team, no matter what the roster may look like is invincible. What do losses do? Hopefully they reinforce the fact that a half hearted effort won't be good enough to earn a victory. The Rockets generated a season low 18 shots on net. On numerous occasions, scoring situations presented themselves yet the puck was passed rather than delivered towards the net. Remember this quote from Wayne Gretzky? "You miss 100 percent of the shots you don't take." The Rockets need to take a Spokane Chief mindset when shooting. Fire it from almost anywhere and crash the net for rebounds. It isn't pretty, but again you don't get style points for scoring. Tyson Baillie was the only one firing the puck on net. The 19 year-old led the team with 6 shots on goal against the Hitmen. I think the Rockets are taking too many penalties. Assistant Coach Kris Mallette commented when I asked him the same question in back-to-back post game shows, which I did, wondering if his team was taking warranted penalties? I think many can be avoided. If it is a scoring chance for the opposition and a trip or hook is needed, fill your boots, take a penalty. The Rockets took 6 penalties last night with Nick Merkley receiving a 4 minute minor for high sticking. Did Merkley get the home town discount on that penalty, or should he been given a five minute major and a game misconduct? The Hitmen are an excellent team. You have to remember they didn't have two of their best players in the line up with Jake Virtanen and Travis Sanheim at the training camp for Team Canada. Thankfully those two weren't with the Hitmen or it could have been ugly. The penalty killing unit killed off all four Hitmen power plays. That came on the heels of a 6 for 6 effort against the Medicine Hat Tigers Friday night. The PK is doing good work in the last two games. Enough negativity. It was the teams' 5th loss of the season. Let's put things into perspective here. The Rockets lost against a solid team. Again, they didn't look good, but some nights' you aren't going to have it. I would have just liked more 'try' in the game and if the results aren't there at the end of the night, or the opposing goaltender is lights out, I can accept that and believe the coaches will too. Those Hitmen uniforms. Wow. They are good to look at but from high in the Saddledome the name bars and the numbers on the side of the jersey's are almost impossible to detect. It is amazing how much those side digits on the arms are used for radio broadcasters to identify players. What likely made matters worse was the distance I was from the ice and the fact it was the first time I have seen the Hitmen this season. Maybe my eye sight is failing me too? The Rockets are basing out of Red Deer over the next three nights with the Edmonton Oil Kings and Red Deer Rebels on the horizon. The Oil Kings present the next challenge on Tuesday. Wish me luck attempting to identifying their players as I fight altitude sickness from the broadcast booth at Rexall Place. Visiting teams' don’t often beat the Medicine Hat Tigers. They surely won’t leave the 'Gas City' with a ‘w’ without their top goal scorer and two world class defenceman absent from the line up. Or will they? The Kelowna Rockets may have been without the services of Rourke Chartier, Madison Bowey and newly acquired defenceman Josh Morrissey, but that didn’t deter them from producing a gutsy 4-2 win over a Tigers team, that up until last night, had lost only three times on home ice this season. Tyson Baillie scored twice and Gage Quinney, making his Rockets debut, scored his first goal with his new team in the WHL leaders 26th win of the season. Jackson Whistle was typically tremendous, making several key stops and was full marks for being named the first star. The penalty killing unit of the Rockets deserves a pat on the back for their strong play. The Tigers, while having the 15th best power play unit in the league, were awarded six chances on the evening. Tyrell Goulbourne led the charge with a shot blocking clinic. The 20 year-old blocked three significant blasts from the blue line while Riley Stadel got into the way of one that hit him in the hand. It was a great ‘sellout for success’ by that four man unit. The Tigers have a good looking power play. With the five players they put out there the puck is moving around so quickly, it appears to be a well oiled machine. But if you really dissect it, you can zing the puck around the perimeter all you want but if you aren’t getting good looks/chances on goal, what good is it? The Rockets, for the most part, kept the puck to the outside with few secondary chances after a shot on goal was taken. Again, the shot blocking may have been the best I’ve seen all season. The Rockets d-score found themselves in a heap of trouble when Riley Stadel had to leave the game after getting a shot off his hand. That meant five d-men had to ramp up their play and the results were impressive. Of those five d-men, Lucas Johansen and Devante Stephens are raw rookies. Stephens particularly stood out and ended the game with a +3 rating. The 17 year-old isn’t overly physical but makes smart decisions with the puck. What you need to watch out for is his speed. He could be one of the fastest skaters on the team. Watch him a little more closely and see how the undrafted player is rounding into form with the more ice time he receives. It was nice to see newly acquired Gage Quinney find the back of the net for the first time. The 19 year-old sent a wrist shot on goal that powered past Tigers goaltender Marek Langhammer. Quinney must have felt out of place playing his first game with new line-mates and new systems. The coaches really liked what he brought to the table and is a definite upgrade to the centre ice position. I thought Justin Kirkland play his most intense game of the season. The 18 year-old’s battle level was significantly improved and he played with an edge in the game. Playing with an edge doesn’t mean getting into the face of an opponent after a whistle. What it means for Kirkland is a battle level that meets or exceeds an opponent when the two are fighting for a loose puck. Kirkland was charged with a cross checking minor when he aggressive battled for a puck behind the Tigers net. I didn’t like the call, it was soft, but if Kirkland fights for loose pucks like that, I will accept a visit to the penalty box every time. I don't want to say I told you so, but I mentioned before the trip started that two players, in particular, had to step up in an effort to have success. Isn't it funny how Tyson Baillie (2 goals) and Cole Martin (2 assists) were significant contributors on the score-sheet last night? I don’t want to get too picky here, but is the officiating worse in the Eastern Conference than in the West? I have found in the first two games on this Alberta road trip a lot of soft calls with many of them directed towards the visiting team. This was the final regular season game the Rockets will play in the iconic Medicine Hat Arena. In 2015, the teams next visit barring a playoff match up, will be in a brand new facility bordering Redciff. Following last night's game, the Rockets were off to Calgary where they will face the Hitmen Sunday afternoon. This game will be more of a level playing field as the Hitmen also have two players away at Team Canada's training camp. Losing Jake Virtanen and Travis Sanheim is the equivalent of no Rourke Chartier and Madison Bowey. Translation? No excuses. Tonight’s Preview: The Kelowna Rockets play game two of a five game Alberta road trip tonight against the Medicine Hat Tigers. The Rockets are playing five games in eight nights’ which includes stops in Calgary (Sunday), Edmonton (December 16th) and Red Deer (December 17th). The team only plays back-to-back games once on this road trip with stops in Edmonton and then a night later against the Rebels. 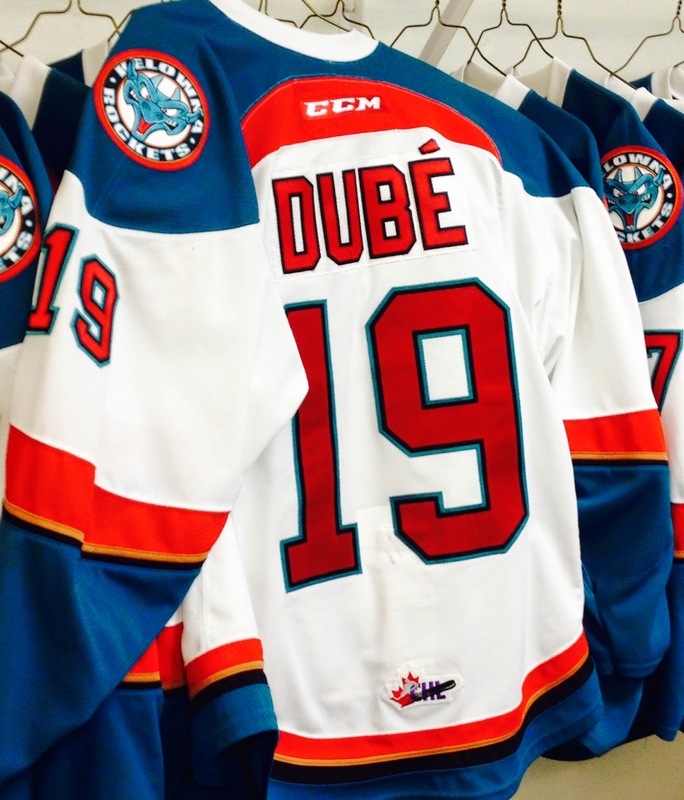 On Wednesday night, Dillon Dube scored twice and added an assist in a 4-3 shootout win over the Lethbridge Hurricanes. Nick Merkley scored the game winning goal in the shootout. Rodney Southam added his second goal in a Rockets uniform in the teams’ 25th win of the season. This is the first of two meetings between the Rockets and Tigers this season. 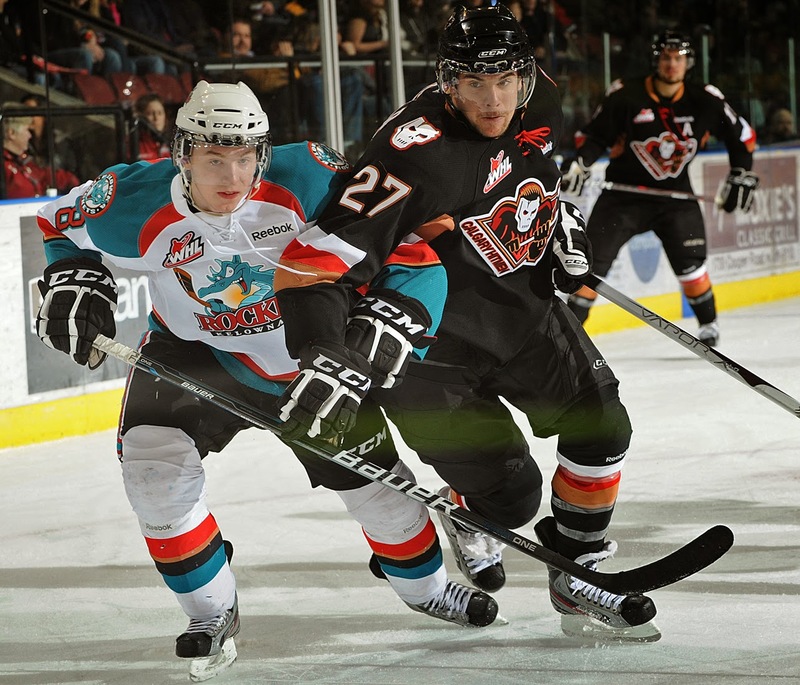 They meet again in Kelowna on January 10th – trade deadline day in the WHL. Last season the Rockets were 2-0-0-0 with a 5-4 victory and a 4-3 win. Overall, the Rockets have a record of 5-3-2-0 in their last 10 games. 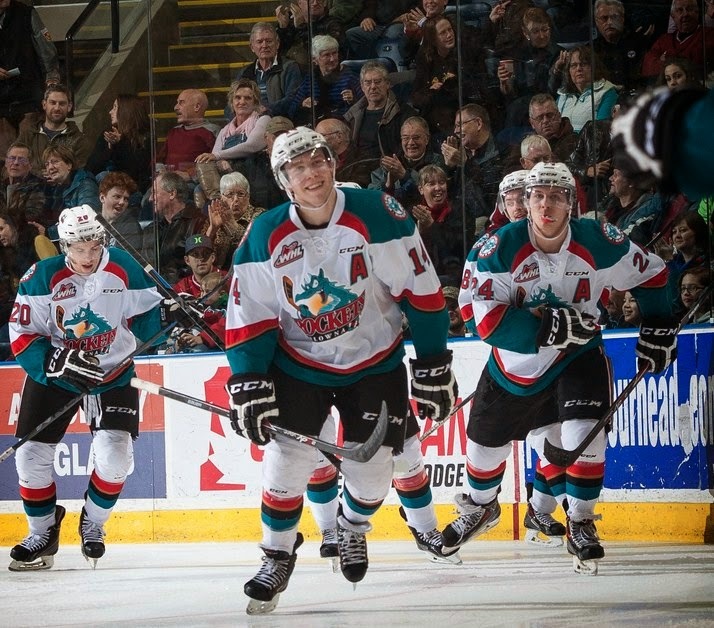 The Rockets return home after the Christmas break to host the Kamloops Blazers on December 27th. Blockbuster Deal: The Kelowna Rockets pulled off a four player deal with the Prince Albert Raiders Wednesday night. The Rockets acquired 19 year-old Josh Morrissey and 19 year-old Gage Quinney from the Raiders for 19 year-old Jesse Lees, 18 year-old Austin Glover and a 2nd and 3rd round draft pick. Morrissey is attempting to make Canada’s entry at the World Junior Hockey Championships while Quinney is making his debut tonight with his new team after playing Tuesday night in Vancouver with the Raiders. Digging Deeper: Josh Morrissey is a first round pick of the NHL’s Winnipeg Jets. Morrissey was an Eastern Conference 1st team all-star last season, recording 28 goals on the Raiders blue line. Morrissey is also the older brother of Rockets rookie goaltender Jake Morrissey. Gage Quinney was born in Las Vegas Nevada when his father Ken (born in Quesnel BC) was playing down there for the Las Vegas Thunder of the defunct International Hockey League. Quinney’s father was a 10th round NHL pick of the Quebec Nordiques and is a former teammate of Rockets head coach Dan Lambert. Gage’s brother Landon is listed by the Moose Jaw Warriors. First to 30: Rourke Chartier became the first Kelowna Rockets player to reach 30 goals in under 30 games. Chartier has 31 goals in 28 games after scoring twice on Wednesday. That breaks the old mark of the quickest player to 30 goals, set by Brett McLean, who scored 30 goals in 30 games in the 1997-98 season. Here are other Rockets players to reach 30 goals in a short period of time. 1) Rourke Chartier: 30 goals in 28 games (2014-2015). 2) Brett McLean: 30 goals in 30 games (1997-98). 3) Jamie Benn: 30 goals in 36 games (2008-2009). 4) Jason Deleurme: 30 goals in 36 games (1997-98). 5) Chuck Kobasew: 30 goals in 39 games (2001-2002). The Saskatoon Sniper: Rourke Chartier had 18+10=28 in the month of November. In 14 games, Chartier scored a goal in 12 of them. The 18 year-old had points in 13 of those 14 games. Chartier had 9 multiple point games in the month. Chartier had 6-3 point games and three-two point games. By comparison, last seasons’ WHL scoring champion Mitch Holmberg had 12+14=26 in November. The only player to record more points over the last five seasons in the month of November is Portland’s Brendan Leipsic. Leipsic had 9+21=30 in November 2012. Joe Gatenby: missed 7 games Jake Morrissey: missed 6 games. *16 games lost by departed players Glover and Lees. World Junior Bound: Congratulations Madison Bowey, Josh Morrissey and Rourke Chartier for being three of 29 players named to Team Canada’s training camp roster for the WJHC. 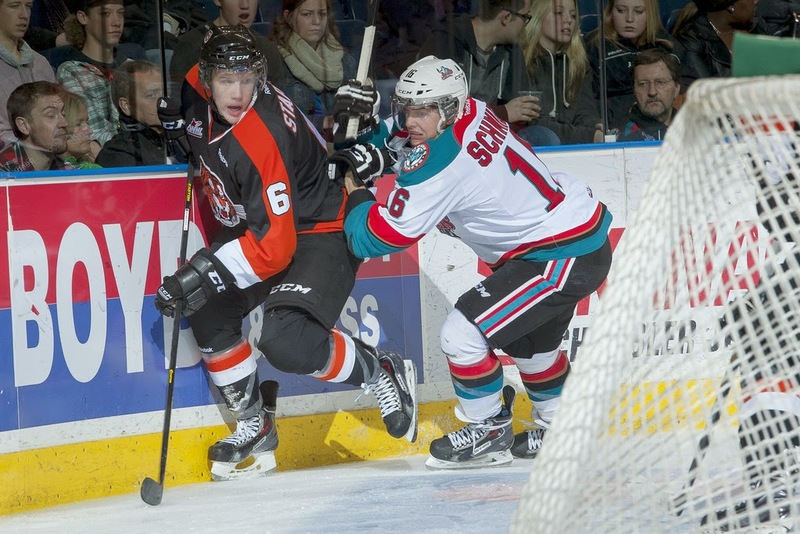 Kelowna Rockets forward Kris Schmidli will participate in the upcoming World Junior’s with Switzerland. Rockets majority owner Bruce Hamilton is a member of Team Canada’s management team. This and That: Gage Quinney’s dad Ken played four seasons with the WHL’s Calgary Wranglers…Quinney’s mother is from Nova Scotia…Nick Merkley is playing in his 100th career game tonight in Medicine Hat…The Rockets have had 12 players play for Canada at World Junior Hockey Championship. Tyler Myers, Luke Schenn (twice), Tyson Barrie, Shea Weber, Josh Gorges, Brandon McMillan, Blake Comeau, Chuck Kobasew, Brett McLean, Jamie Benn and Robb Gordon.…Rourke Chartier was named the WHL Player of the month for November…Nick Merkley is rated 22nd by the International Scouting Service for this June’s NHL draft….The Rockets have been held to three goals or less only 8 times this season…The Rockets are rated as the second best team in Canada according to the CHL Top 10 junior rankings…Nick Merkley has 16 multiple point games….Rourke Chartier and Nick Merkley have been held off the score-sheet five times this season…In case you are wondering, the Rockets have not been shut-out in 107 consecutive games. The last time the Rockets were held without a goal was March 3, 2013 in a 3-0 loss in Kamloops. Who’s Hot: Tyson Baillie has six goals in his last 12 games and has points in 9 of his last 15…Over that period, the 19 year-old has (8+7=15)...Rourke Chartier has eight more goals (32) than he had all of last season. Chartier has goals in 16 of his last 19 games….Nick Merkley has 6+20=26 in his last 17 games…Madison Bowey has 93 points in his last 100 regular season games.